TL;DR: There is no Royal Road. 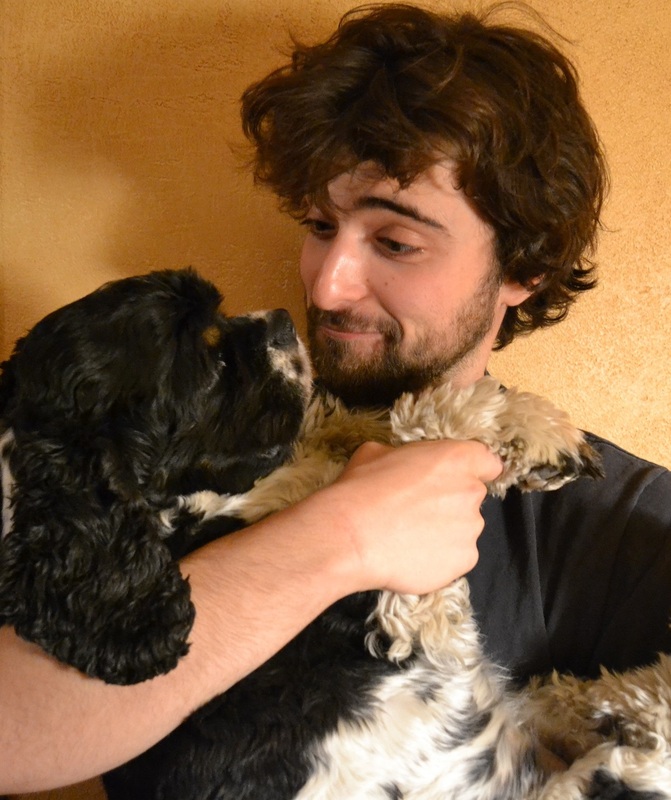 In his three recent and awesome posts on intelligence, Scott Alexander describes what it’s like to grow up intellectually lopsided (high verbal IQ and a low-ish math IQ, in his case). I’ve always been interested in intelligence (who isn’t), and I was struck by how similar Scott’s experience with lopsidedness is to mine. So that’s where this post is coming from. Note: whenever I say “IQ” hereafter I’m referring to math IQ. Let’s get started. Otherwise known as the standard normal distribution. It crops up a lot when talking about traits in a population, such as intelligence. The reason for this is well understood (see central limit theorem) and won’t concern us here. All you need to know is that the top of the curve is where most people are clustered around IQ wise. The farther you get away from the top in either direction, the less likely you are to find a person with that IQ. In other words: you can be virtually certain that, on any given day, you’ll see at least ten average-IQ people strolling around NYC; it’s much less likely that you’ll see 10 theoretical physicists walking their 1600 collective IQ points around Central Park. But here’s the thing: the curve is not a condemnation. IQ is not a number forever fixed in Nature’s grand database. Now before you go all bananas on me, let me qualify that a bit. IQ’s flexibility does not mean you can be Einstein or Bohr or Hilbert if you try hard enough. The data seem to show that IQ is somewhere between 50-80% heritable—which is annoying to you if both your parents have low IQs. But of course you can improve your IQ score—what do you think SAT classes are for? They’re there to make a person better at solving IQ-test style math problems! You might say at this point: “well, that’s cheating! Now we’ll never know that persons real IQ!” But you would be wrong. There is no such thing as real IQ, unless by real IQ you mean the score you get on your first IQ test, before you have a chance to practice at all. And if that is what you mean, then I’ve got a bone the size of Clifford’s femur to pick with you. Mathematical ability is something to be nurtured and developed. Anyone who knows math at all will tell you: if you don’t do problems, you don’t get results. Put another way: if you can’t do the problems, you don’t understand the material. That’s just the brutal truth. And I’m not just talking about performing well on exams (during which 2 standard deviations of my IQ tend to pack up and leave), by the way. I’m talking about in your room, alone, no anxiety, and no pressure. If you can’t do them under ideal conditions, there’s an issue. Thus if you’ve learned (really learned, not just memorized steps) how to do a certain type of SAT problem, you’ve done nothing shameful or disingenuous, because that’s how people learn math. “But Leo!” you cry, “I’ve tried and tried and I just don’t understand math and I can’t do the problems. I must be an idiot!” Wrong again, dear Applied Sentience reader. As Scott correctly points out in his postings (and eventually shows with data): if you’re reading this type of blog, you’re probably not an idiot. Still, I’ve tutored a few otherwise bright Rutgers students (mostly STEM, believe it or not) in math before…I’d be a fool to deny their shortcomings. So here is what I’ve come to think about IQ after seeing it from both sides of the mountain, so to speak. 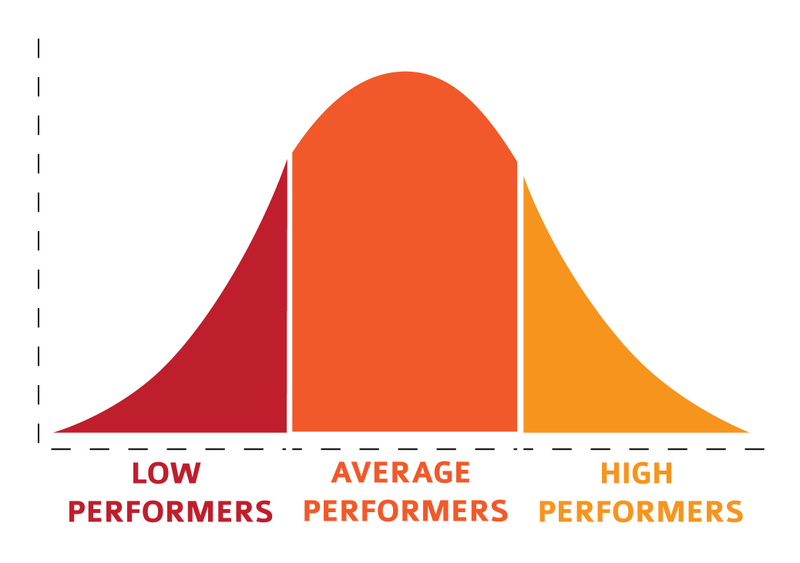 The farther away you are initially from your IQ goal on the bell curve, the harder it will be for you to get there. Another way: if your IQ is 100 and you want it to be 140, you will have a (much) more difficult time getting it there than your friend with 120 IQ points. 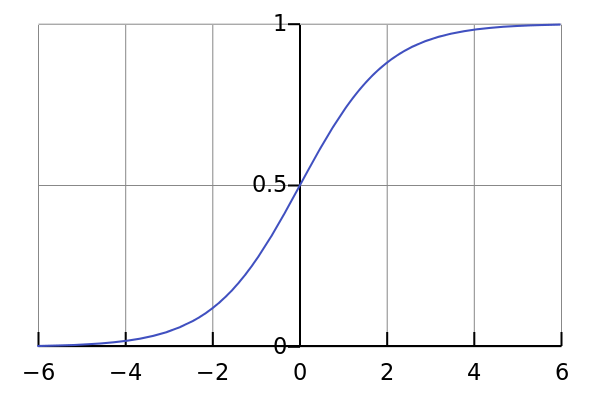 A person’s progress in improving their ability will usually follow a logistic curve (below). When you first start out, progress is slow. Self-improvement is hard, you have a tight schedule, you weren’t really that motivated, Netflix just uploaded new Futurama, etc. But as you get the hang of things, your progress quickens. You gather up more IQ points at an accelerating rate, like Sonic on tweak. But eventually your progress tapers off. You hit an intellectual sludge of sorts. You’re still making progress, but definitely not at the rate you were before. Finally you hit your limit—you’ve essentially stopped improving. At this point you can either a) Be pleased with yourself or b) Sink into the wretched twilight of everlasting depression. Your call! These are easily testable claims for which I unfortunately have no evidence. . If you know of any relevant literature/data make sure to leave it in the comments. I think a good-but-not-ideal study group would be kids entered into long-term SAT training programs. You could track their progress by recording the number of problems they solve in a given time. Once they get better at solving problems of a certain difficulty level and type (like simple percentage problems, say), the time it takes to solve each one should go down. Okay fine, not completely unsolicited: I really do sometimes get asked what it takes to be a physics/math major. Here’s what I can say. If you’re starting out behind in math (i.e you’re not comfortable with functions and all the things you can do with them) then you need to first read the following quotes. “I believe that through discipline, though not through discipline alone, we can achieve serenity”–Robert Oppenheimer to his brother Frank. These two bits of advice (which are really saying the same thing) have traveled down the historical wire for thousands of years. Euclid was reported to have told King Ptolemy, “There is no Royal Road to Geometry” after the King asked him the easiest way to learn math. There’s not much more to say here: work hard, but (as Scott writes) be realistic. Flog yourself into learning the things you want to learn, but know that you probably won’t match Ramanujun in his prime. Like I mentioned in the opening paragraph, my childhood was in some ways remarkably similar to Scott’s. My measured math IQ always lacked far behind my verbal IQ. Like Scott, I was always the top student in my English classes, I won awards for my writing, etc, etc. Writing came easily to me. In math classes I was not so fortunate. In fact, I got dropped down into (essentially) remedial math in the ninth grade. All my rage towards government schools and the repulsive state of US math education aside, I was just not very good at mathematics. Plain and simple. My math SAT scores, like Scott’s SAT scores, will attest to that. However at this point my story and Scott’s story split apart into two separate world-lines. His world-line takes him to medical school, has him write successfully online with tons of fans, and lets him help his fellow man by being a professional psychiatrist (as opposed to the non-professional kind you meet on street corners). My world-line (albeit much shorter than Scott’s) has taken me up to my junior year in college where I’m happily finishing up a double major in math and physics, as well as writing occasionally for a certain special blog. I don’t think I have more innate ability in math than Scott (who clearly understands probability and statistics as deeply as any math major), I just think I wanted to learn it more than he did. But since I don’t know the man personally, I’m speculating rather emptily. Closing thought: there is something to having a growth-oriented, genetics-be-damned kind of attitude. It’s gotten lots of people very far. But if you’re 4’10 at age 18, I wouldn’t count on being drafted into the NBA. I can relate to a lot of what you’ve said in this article. Initially I would define my intelligence by its weaknesses-in my case mathematics as well. Once I really started to accept that I was average at something (something I’m not used to as I identify with high intelligence) is when I truly sat down and decided to attempt to learn it better. I tested out at 140 IQ on Raven’s Standard Matrices and the same on an on-line vocab test which seemed very simple, yet can barely pass the most simple math test. Only way I got my undergrad degree was my college (Furman) thankfully allowed students to substitute 2 lab sciences for math. I took biology and geology, and didn’t do all that well in either. Always thought something was horribly wrong with my brain!